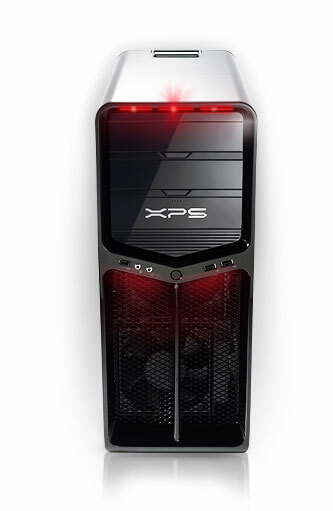 Dell XPS 630 desktop gaming PC - a sleek head turning warrior created for smashing game performance. ATI™ Crossfire™ & Nvidia® SLI® dual graphics options available. Now you can have searing good looks and fearless brawn. Experience the latest technology and innovative design with the XPS™ 630 - a sleek, head turning warrior created for smashing game performance. A supersonic gaming extravaganza – the XPS™ 630 offers full-on power with overclocking via BIOS or Nvidia® nTune, a selection of Quad & Extreme Intel® processors, single or dual graphics cards and a 750W power supply for an extreme experience. Blow away the competition with a choice of Intel® Core™ 2 Quad or Core™ 2 Extreme processors with front side bus speeds of up to 1333MHz. The XPS™ 630 supports both single & dual graphics options. With dual graphics, two graphics cards can run in parallel to act as one monstrously powerful card. Choose between NVIDIA® SLI™ or ATI™ CrossFire™ options. Extreme over-clocking, with optional Corsair DOMINATOR® memory, can take you up to 1066MHZ, giving you the ability to go further than ever before. Bulk up on extra hard drives and graphics cards with a 750W power supply in every model with adjustable voltage. Maximize your PC's performance with ESA: Complete real-time PC performance management and optimization. Designed for smoother, more responsive gameplay experience than with a typical NIC in all of your favorite online games with the Killer NIC™ K1. Built for online gaming, Killer offloads network processing from the CPU and bypasses the software network stack to reduce lag and give you the competitive edge. Turn heads with the sleek and stylish design of the XPS™ 630. 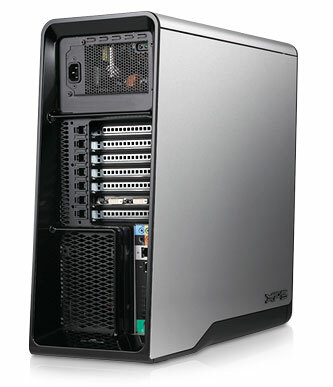 With a choice of colors, upgradable ATX design and incredible graphics you get more class than ever before. Upgrades are easy with the ATX design. Tool-less drive bays let you swap components with minimum fuss. Play on with a stylish choice of red or black finishes to complete your gaming experience. The XPS™ 630 supports single & dual graphics options from both NVIDIA® & ATI™. With dual graphics, two graphics cards can run in parallel to act as one monstrously powerful card. NVIDIA® SLI™ or ATI™ Crossfire™, both are offered, you decide. 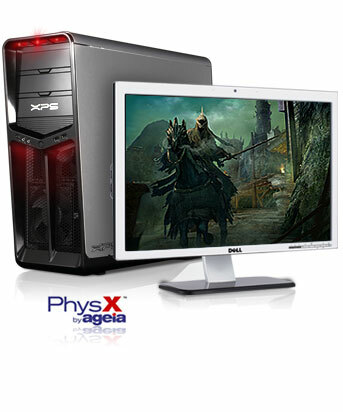 Go a step further & bring a new level of realism to your games with the optional AGEIA® PhysX™ Accelerator . Every hair, gust of wind and speck of dust reacts in a life-like fashion thanks to tens of thousands of "smart particles" added to gaming environments that support PhysX™. Transfer all your important data with absolute ease thanks to the optional media card reader with Bluetooth™ and a smart Ethernet port. Wirelessly connect keyboards, cameras, phones, mice and more via the XPS™ 630’s optional media card reader with Bluetooth™. Transfer more data back and forth in your home network and to the outside world. Superior service is standard with XPS™ products. 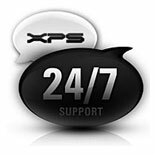 Dell XPS™ technicians pass rigorous XPS™ products-specific training, and support calls are normally answered in less than 2 minutes. You can also count on the latest virus and spyware protection, 1 year of Dell DataSafe™ online Backup, and 24x7 support. In short, the ownership experience is just like the machine itself – top of the line.